IVT’s composition services are the top choice for our clients in dynamic publishing environment which includes lots of constructive qualities. To offer precise structuring is the main difficulty and keeping this challenge in mind, IVT has developed newest, modern and enhanced typesetting system to offer composition services with a quick turnaround for any publishers across the world. We, at IVT provides multilingual, traditional and digital composition services. Our typesetting & graphic specialists are highly trained to handle traditional and modern prerequisites of the publishing industry. 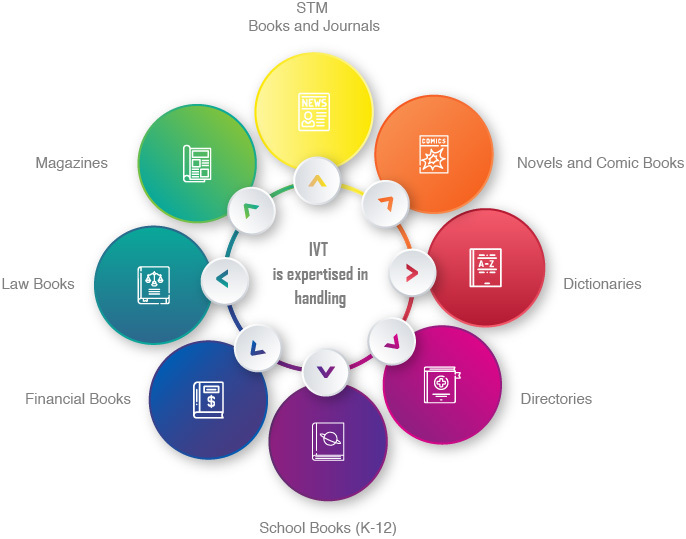 IVT handle different types of books & journals ranging from simple to complex design projects. Keeping quality in mind and with multi-channel system in place, we follow the strategic approach in typesetting which helps us to deliver your message in clean & crisp layouts. Our Production team is uniquely qualified in serving the publishing industry with necessary contextual, composition & technical support including typesetting & delivery of final output in customized formats. Our vast domain experience enables us to offer comprehensive solutions in conversion process delivering significant gain for publishers. 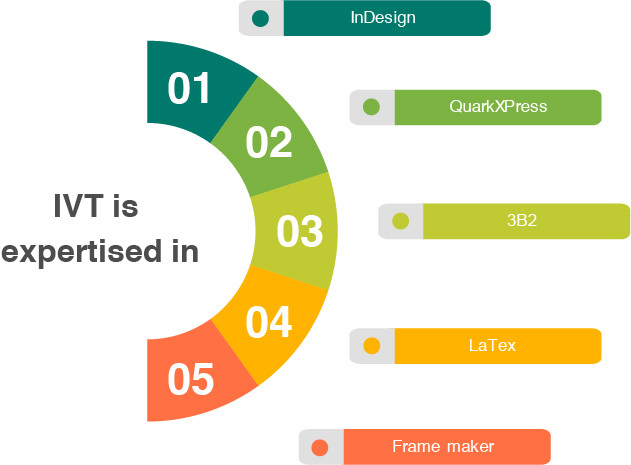 We create trends by using the latest technology in typesetting such as XML & Tex with our in-house XML composition service and quality check process framed by industry experts; we ensure our clients get best in class customized service without compromising the expectations and perhaps helps in reducing the operational cost. We strive to ensure our typesetting/page layout services are best in the industry.